As a homeowner, you rely on your Hamilton sump pump to work when you need it. This critical device can be the difference between preventing a major flood in your home, or not. It is often a device that is taken for granted in that it remains mostly hidden in the ground while you rely on it to work when you need it, yet it is just a mechanical device and as such it will need to be kept tuned up just like a vehicle. It is simply the nature of mechanical devices to break down over time and your sump pump is no different. Don't take the risk of not having it work properly when you need it most. Call us for help 24/7. You can rely on our local plumber to install, repair, or provide maintenance to your Hamilton sump pump because we have done so successfully for over twenty-six years already. We are local and as such can react quickly when you call and know the plumbing needs in the area better than most. We will arrive at your doorstep one hundred percent prepared to complete the job successfully when we arrive the first time. We always have the tools, materials, parts, and technology on-hand in our fully stocked company vehicles. Our prices are affordable and given to you upfront in a flat-rate that will be consistent anytime you need us. Your Hamilton sump pump consists of several working parts which must work together in order to function correctly. These parts include the impeller, check valve, float arm, float switch, basin, discharge line, and the pump itself. During wet weather as the water rises it collects in the basin and rises until it reaches a certain point which has been set up in advance. This is similar to how a toilet works in how the float arm will rise until the float trips the switch and activates the pump which, in turn, forces the water out by pushing it into the discharge line and out of your home generally into a storm drain or dry well. Should you need a new Hamilton sump pump installed you can rely on our local plumber to get this done in no time at all. 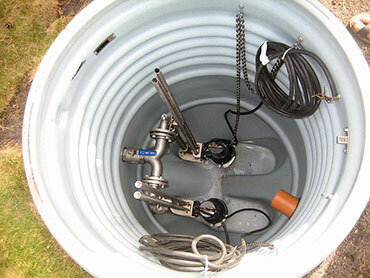 We will place the new sump pump into a pit in order to secure it in place beneath the water table. We will ensure that it is not a defective device while making certain the pump is the best size. We will also determine whether the discharge pipe is the best diameter and whether you should have a grated discharge line. 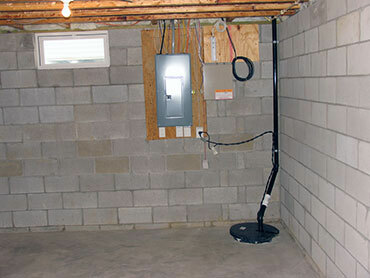 You can be also confident we will prevent the sump pump from an electrical outage and is protected from a power surge. Should you need professional assistance with your current Hamilton sump pump our local plumber can ensure that it is running optimally so you can have peace of mind knowing it has got your back during wet weather, or when there is excessive drainage or a higher water table. Rest assured, you do well to hire our local plumbing professional for the job. We are an emergency based plumbing company with over a quarter century of experience serving the city. We are on-call twenty-four hours a day at your service. Give us a call for emergency repair, installation, or maintenance of your sump pump Hamilton and we will be happy to help.